Looking forward to a rewarding ride in the woods with your buddies, exploring new trails? When the position in the saddle is not appropriate to your body proportions, a day on your bike can turn into an endless series of aches and unpleasant memories. Comfort and performance are close and mutually dependent aspects of bike riding: they should never be underestimated when it comes to finding the right position in the saddle. 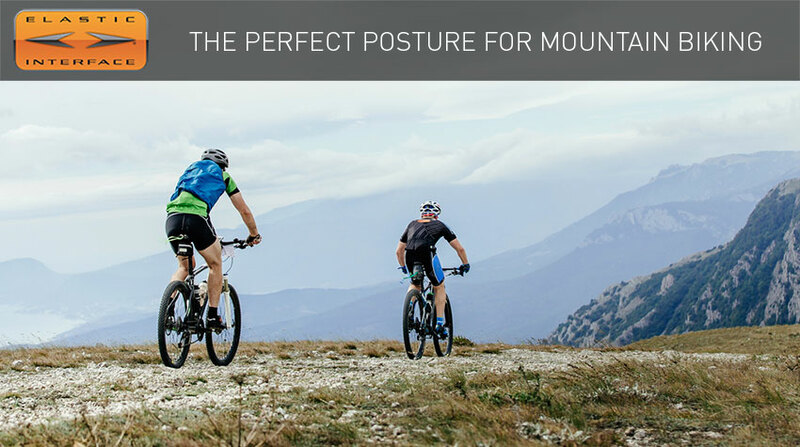 The correct posture on a mountain bike is key to providing ourselves with happy, pain-free rides; performance will improve as well. As a consequence, the contact points between cyclist and bike are of the utmost importance, often able to flag up that something is wrong in our position in the saddle. The harmony between man and machine is the result of a complex and exact dynamics, whose efficiency can be improved just following a few valid guidelines: it is simpler than it sounds. Riding a mountain bike, for short and long periods alike, requires a considerable expenditure of energy due to the weight of the bike and to the rough nature of the terrain. For this reason, assuming a correct posture in the saddle will help you reduce the energy spent while pedalling, leaving you ready to tackle the descents at your best; besides obviously preventing inflammation and pains due to an incorrect position. Choosing a frame with the right size is the first step to have a good ride in the saddle of your mountain bike: if this is not the case, finding the correct position is going to be harder and you will probably need to change some components on the bike to compensate for the wrong size of the frame. Undergoing a biomechanical screening is the best way to make sure that you are choosing the right frame. Biomechanics experts will be able to advise you on the right mountain bike size and they will also come up with recommendations on the components to build the bike with: saddle, seatpost, crankset, stem and handlebar. To find the ideal pedalling position we have to start from the shoes: the cleats must be positioned in such a way that the pedal axle is aligned with the first metatarsal head, the articulation between metatarsal and toe. The most prominent bone on the inside of the foot corresponds to the metatarsophalangeal joint: it is easy to feel it from outside the shoes. The next step is finding the right position of the saddle with respect to the bottom bracket: the saddle should be as level as possible on the top and the nose should point straight ahead. The saddle height and its fore-and-aft position are key to ensure smooth, pain-free pedalling for the knees.To adjust the saddle height you should make sure that the angle between thigh and tibia [the angle at the knee] is 140°-145°. The seat setback can be easily determined by verifying with a plumb line that the knee cap is aligned over the pedal axle, with foot level and crank horizontal and forward. Dropper posts can come in handy to lower the height of the saddle when needed, with their remote conveniently mounted on the handlebar. Lowering the saddle will improve in an instant the handling of the mountain bike in the descents, while going back to the ideal pedalling height will be as simple as pressing back the remote lever. The ideal body position for mountain biking can vary quite a lot, depending on discipline, riding style and on the physical characteristics of the rider. A simple method to find your position on the bike consists in keeping a slight bend in the arms while looking forward with your chin up: in the basic sitting position the handlebar should hide the front hub from your view. This position can be modified choosing a stem with a length that suits your riding style: cross country riders typically prefer a more stretched position and as a result they will use longer stems, while enduro riders will opt for shorter stems to reduce the chance of going ‘over the bars’ and to find the best position for descending. If a correct position on the bike is essential to avoid muscle pain and inflammation, choosing the right saddle and cycling pad is of equal importance. In the saddle of a MTB you riding position is more upright than on a road bike and this increases the pressure over the back and middle part of the saddle. The riding itself, continuously swapping in and out of the saddle positions, exposes the body to knocks and chafing. This is why the Elastic Interface pads for off-road riding feature special high-density inserts in the ischial area, designed to optimize comfort and performance whatever the terrain. Now we have achieved the perfect position in the saddle and we know all secrets to optimize the comfort on the bike: it is time to get the bike ready and plan the next ride!